Android TextView allows user to display text in android application. 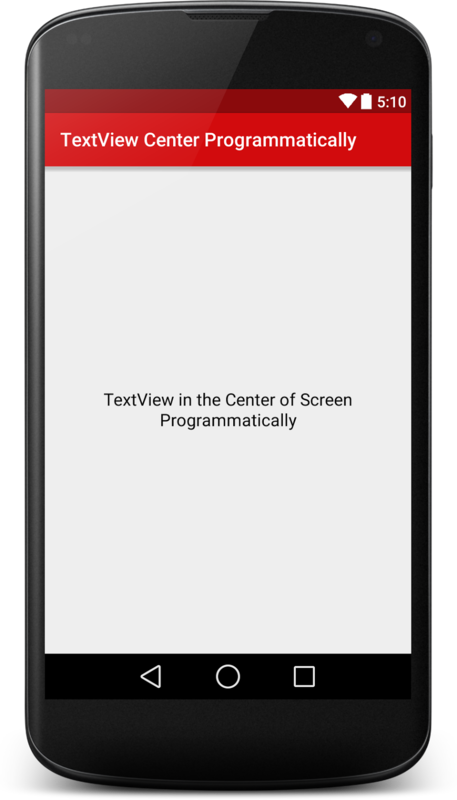 In this simple tip, I am going to show how to programmatically align android TextView in the center of the screen. To display text in the center of screen programmatically you have to use .setGravity(Gravity.CENTER) method. Your XML layout file looks like this. And your java activity file code looks like this.